Vocations Alive! is devoted to developing a culture of discernment where Catholic students at college campuses have the environment, support, and tools they need to discern their call in life. To teach students how to pray and how to listen to God in prayer. To help students integrate God into every part of their lives, careers, homes, values, and relationships. To be a presence of support for the students, faculty, staff, and alumni in their journey of faith. Each person has a unique call from God—a call to be and live out our most authentic self in the world. God invites us to live out this call in marriage, through the single life, or as consecrated religious leaders or priests. 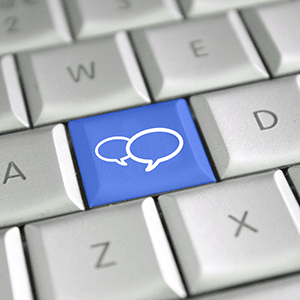 Discernment is the process we enter to determine our vocation…our call from God. It is an ongoing journey of discovery to be the person that God is calling us to be. 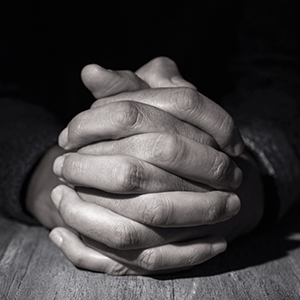 Through prayer, one develops a relationship with God and can learn to listen to God’s voice in our hearts. Sister Val is a native of Southern California and entered the Sisters of Notre Dame community in 2003. She graduated with a bachelor of art in religious studies from Mount St. Mary’s University in Los Angeles, California. 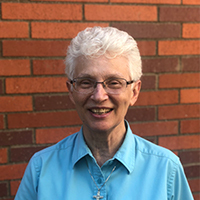 Sr. Val has had a variety of ministry experiences, including several years of service at parishes in the Los Angeles Archdiocese. She has been the director of vocation discernment and young adult outreach for her community since 2008. In February of 2017, she joined the Vocations Alive! team at the USC Caruso Catholic Center and is thoroughly enjoying connecting with the students. We invite you to view Sister Val's video. Sister Kathy Schneider is a member of the Order of the Company of Mary Our Lady. Originally from Indiana, she moved to California for college and has been here since. She graduated with a doctorate in modern European history from the University of California, Irvine. Most of her ministerial experience has been as an educator, teaching at the elementary and high school levels. Most recently she has taught part-time at local universities. Sr. Kathy is also involved in curriculum development for Company of Mary schools. In February of 2017, she joined the Vocations Alive! team at the Catholic Center, where she enjoys the opportunity to get to know USC students and share faith and life with them. We invite you to view Sister Kathy's video. Sr. Mary Dean Pfahler is a Sister of Notre Dame (SND) from Toledo, Ohio. She earned an undergraduate degree in social studies from Mary Manse College and a masters of American studies from the University of Minnesota. While pursuing these degrees, she also taught junior high students (hence her grey hair) in various Catholic schools in the diocese of Toledo. Her life took a leap when she served at Notre Dame High School in Papua New Guinea for three years and then earned a masters in pastoral studies at Loyola University Chicago. She thrived as a parish pastoral associate and most recently as director of Lial Renewal Center outside Toledo. 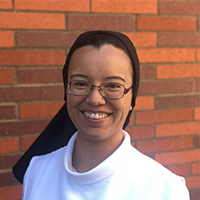 At the same time, she completed the internship in Ignatian spirituality at Manresa Jesuit Retreat House in the Detroit area. 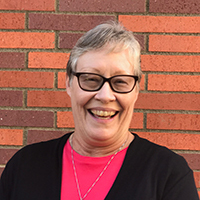 After a sabbatical at Springbank Retreat Center for Ecospirituality and the Arts, she took Sr. Jenny's dare to mentor students at the USC Catholic Center while serving as a spiritual director in the Long Beach area. She enjoys cooking lower on the food chain, learning how to tend a California garden, and meeting new friends from around the world. 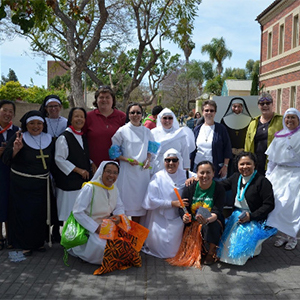 Sister Mary Therese Perez is a Dominican Sister of Mission San Jose and campus minister at the University Catholic Center at UCLA. She entered religious life in 2009 and professed her final vows on August 4, 2018. She has studied theology and spirituality at the Jesuit School of Theology of Santa Clara University. She also has a master of arts in teaching from Christian Brothers University. A California native, Sr. Mary Therese has lived and ministered in the Sacramento area, Bay Area, and Los Angeles. Most recently, she taught religion and Spanish at Flintridge Sacred Heart Academy in La Cañada Flintridge. 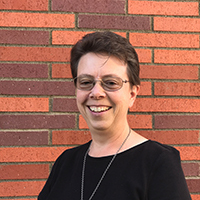 As campus minister at UCLA, she is focused on vocational work and accompaniment of students in their spiritual lives. The purpose of the spiritual mentorship program is to provide USC students and alumni with an experienced spiritual guide who can accompany students and alumni on their faith journey. For more information, please email Sr. Kathy Schneider. 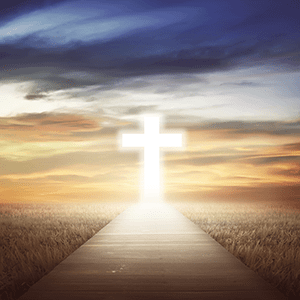 Please refer to our spiritual direction link to sign up. Vocations Alive! is sponsored by a grant from the Conrad Hilton Foundation. 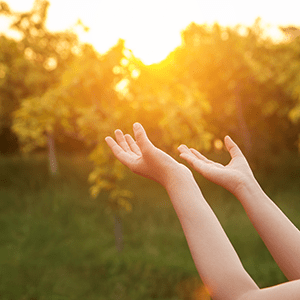 The Hilton Foundation is committed to supporting Catholic sisters all over the world through education, leadership formation, vocations, and in their various ministries. For more information, please visit the Hilton Foundation website! 10:00 a.m. | 5:00 p.m. | 9:00 p.m.
Mon – Fri at 12:10 p.m. | 5:30 p.m.
We adhere to the United States Conference of Catholic Bishops' Safe Environment for Children.